Who it's for: All skin types. Daily sunscreen is an essential step for every skin care regimen. 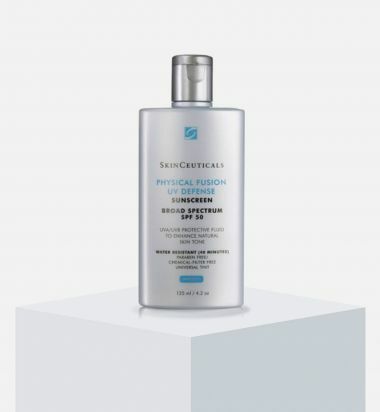 We love the Skinceuticals Physical Fusion UV Defense Sunscreen SPF 50 because it not only provides broad-spectrum sun protection from both burning and aging sun rays but it also provides a universal tint that enhances your skin tone and boosts radiance. This tinted sunscreen glides on smooth and doesn't leave behind any oily or white residue. Water-resistant for up to 40 minutes, the lightweight formula melts into skin, boosting radiance and increasing your skin's defenses to keep you protected from premature signs of aging and damaging sun rays. An $85 value! 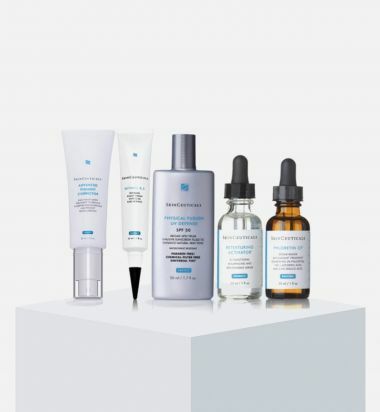 SkinCeuticals Advanced Brightening System features everything you need to brighten, lighten and even your skin tone for a beautifully radiant complexion. Antioxidants and sunscreens protect against environmental assault to prevent future skin damage. 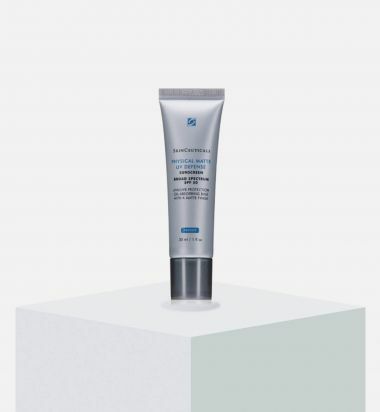 Ultimate UV Defense SPF 30 by SkinCeuticals uses 7% transparent zinc oxide and 7.5% octinoxate to protect the skin against UVA and UVB damage. Featuring an elegant, moisturizing base, this product reveals a comfortable finish that's perfect for high-altitude climates. Free of PABA, oils and fragrances, this formulation may be used for all skin types, including sensitive. 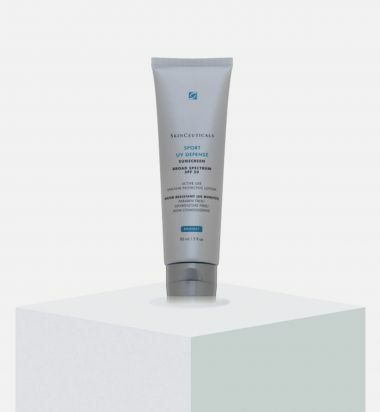 Bring on the heat with SkinCeuticals Physical Matte UV Defense SPF 50. 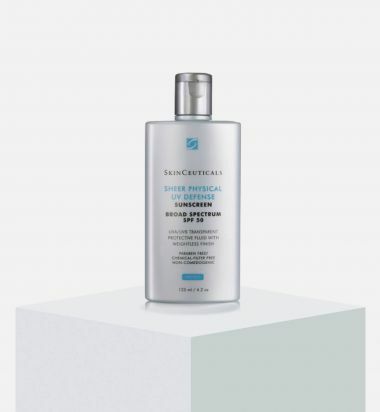 Designed to supply brilliant sun protection, this mineral sunscreen delivers a shine-free, matte finish, even in the most humid temperatures, thanks to its aerated silica that absorbs 15 times its weight in oil. Zinc oxide blocks burning UVB rays, and titanium dioxide keeps UVA rays a safe distance from your skin. To give your complexion a flawless, smooth finish, translucent color spheres are added to the formula. These supply a universally flattering tint that works on all skin tones and has the added bonus of minimizing the appearance of your pores. Sunscreen is an essential step in your morning routine, adding an extra layer of protection that your skin craves. Make it the best protection with SkinCeuticals Sheer Physical UV Defense SPF 50. Formulated with only physical sun filters, this transparent formula sinks into skin without leaving that dreaded white tint or any sticky, oily residue. This weightless sunscreen spreads evenly and dries to a matte, shine-free finish making it ideal for normal, oily, combination and sensitive skin types. An $85 value! 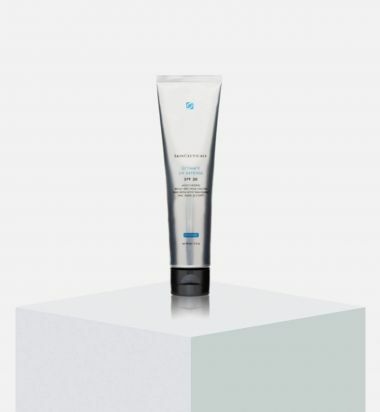 SkinCeuticals Sport UV Defense SPF 50 delivers broad-spectrum protection to combat harmful UVA and UVB rays. The oxybenzone-free formula offers a long-lasting, comfortable feel as artemia salina, a nourishing plankton extract, helps protect against heat stress and collagen damage, keeping your skin looking healthy and youthful. Offers up to 80 minutes of water-resistant protection.